First to say "I love you"
Every Summer, they do what? In High school, Alex broke his what? Morgan writes what kind of book? They like to watch movies in what language? They were homeless for one night in what country? Where did Morgan and Alex go on their first date? what part of their body did Morgan and Alex get matching tattoos? Name of Alex and Morgan's cat? What branch of the military did Alex serve? What political party did Alex run under when he ran for city council? What part of the high school band did morgan play in? What was a city that Morgan competed in as a barista? 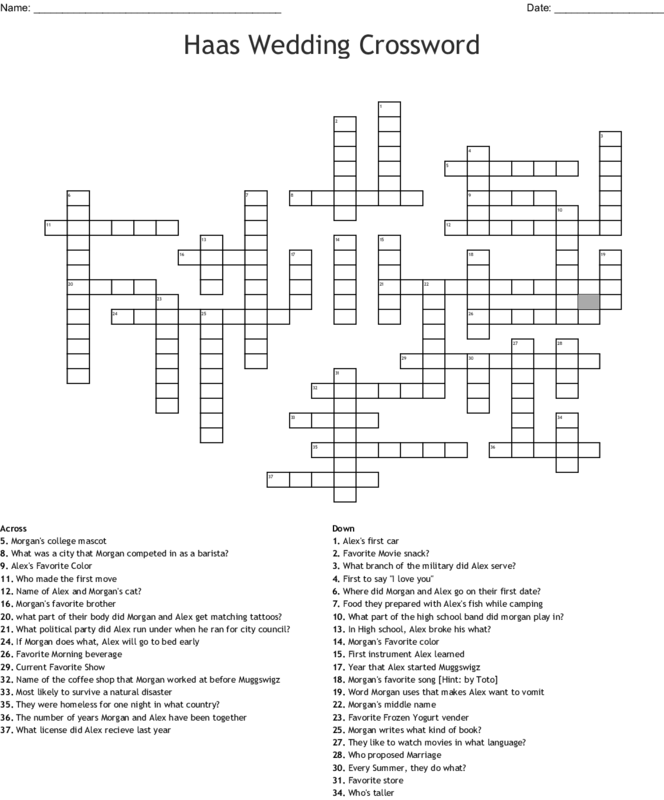 Anderson Family Valentine's Day Crossword Puzzle. If you complete you will win a prize.